As I mentioned in our recent Festivus Special, Aisling MacConglinne – A Satirical Tale of Extreme Gastronomy, I had no more than a superficial familiarity with the text when we selected it for our 2016 mid-winter podcast. It is one of Isolde’s favourite stories, so I was aware, that the story involved a poet’s vision of a land of sumptuous food.and that ts central theme was a poet’s satire on the church. However, I had not read the full text in any detail. When I began to re-examine the text, I realised that the first part of the story was very familiar to me. This section focused on the quarrel between an abbot and the master poet, MacConglinne. This travelling scholar experienced a distinct lack of hospitality from the monks, and underwent appalling ill treatment at their hands. The W.B. Yeats story, included in the collection, was not one I had previously encountered even though, in 1971, when the book was published, I would have been studying Yeats at degree level. I found out that it had originally been published in the anthology, ‘The Secret Rose’ (1897). Yeat’s partial re-telling is intended to form a diatribe on early medieval church practice. However, the full story offers so much more. It, too, is a criticism on church law. It illustrates what happens when the ancient laws of hospitality are ignored but it also points out that the traditional tool of legal satire is still very much alive and kicking. There are, as mentioned, two sections of the story. The first part describes the treatment MacConglinne receives at the hands of the monks, the beatings, abuse and his, intended, vicious execution. In the second, the poet uses a description of a poetic vision of food to draw the demon of gluttony from the king. At a first reading, the sections appear different both in tone and style. Both demonstrate the Master Poet’s quick wits and ready word-craft. The second section, however, comedic in style, has a purpose that does connect it to the poet’s initial reception. The king, who has been tricked into swallowing en-spelled fruit, has no poet to guard and guide him. Only a traditionally trained poet, whose innate abilities give him the power to travel the landscapes of both the temporal and the ‘Otherworld’, can save him. Without this power, the king continues to devour the fertility of the land and neither, he or his people, will derive any benefit from it. The text warns that the land is close to ruin with its king under the curse of gluttony. 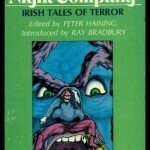 MacConglinne, when he speaks the satire on Cork in the first art of the story, is not threatening a future event. he is merely stating a current threat. Food there is none in it. The king needs his poet and MacConglinne demonstrates that the traditional Master Poet can succeed when the church can only bluster and threaten. The vision of a journey to a land of over-indulgence, is intended to be highly comedic and entertaining and yet it includes the clear message that hospitality is not just about consumption or extravagant feasting. If its cultural and social purpose, protected by the lore of the Master Poet is lost, then hospitality, however lavish, devolves to mere gluttony. By contrasting the creative paucity of the monastic life with the individual master poet’s free-handed hospitable, ever-flowing feast of words MacConglinne may also be offering a warning to poets. Through his luscious and wildly extravagant descriptions, he is surely passing wry comments on the effects of purple prose, perhaps a trait he, a master Poet,is beginning to recognise in non traditionally trained court entertainers.. Even today, the most effective satire juxtaposes dark comedy with exaggerated consequences. The Aisling MacConglinne is an effective satire. It is also a literary story of some skill and well worth reading. 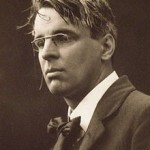 However, the Yeats story is also interesting in its own right. I am pleased to have re-encountered it, along with the other stories from a book that I last enjoyed many years ago. You can read both texts through the links below. See what you think.